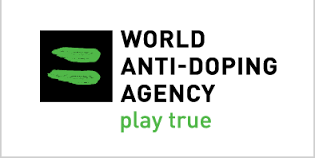 The scale of the problem that the World Anti-Doping Agency (WADA) faces in terms of eliminating doping in sport was recently highlighted by the exposure of state-sponsored doping in Russia and the series of doping scandals within athletics. The study aims to analyse the problems of achieving compliance with the WADA Code. Broadly similar Conventions including the ‘United Nations Convention on the Rights of the Child’ and the ‘United Nations Convention on the Rights of Persons with Disabilities’ were analysed to identify the range of strategies used to achieve (or at least enhance) the level of compliance with international conventions, to assess the comparative success of WADA and to evaluate their effectiveness as a way of generating ideas for improving compliance with the WADA Code. The analytical framework was derived from Mitchell and Chayes’ Compliance System, which comprises of the primary rule system, compliance information system and non-compliance response system, theories of implementation and regime theory. Qualitative document analysis was used to analyse documents and reports published by relevant organisations including WADA, UNESCO and the United Nations. Semi-structured interviews were also conducted with senior staff members responsible for monitoring compliance at the international and UK domestic level. The preliminary results identified a range of strategies within the child rights and disability rights regimes that have been used to effectively address non-compliance. Such approaches include independent monitoring mechanisms, the development of a global annual index that ranks the status of compliance and domestic / international lobbying. It is concluded that these strategies have had modest and variable success in improving compliance, yet have the potential to address the problems of achieving compliance with the WADA Code. Stacie is currently completing a PhD studentship at Loughborough University, which focuses upon the problem of achieving compliance with the World Anti-Doping Code. Prior to undertaking a PhD, Stacie obtained a Masters in Sports Marketing from Coventry University. Her research interests include anti-doping policy, policy compliance and the sport policy process.